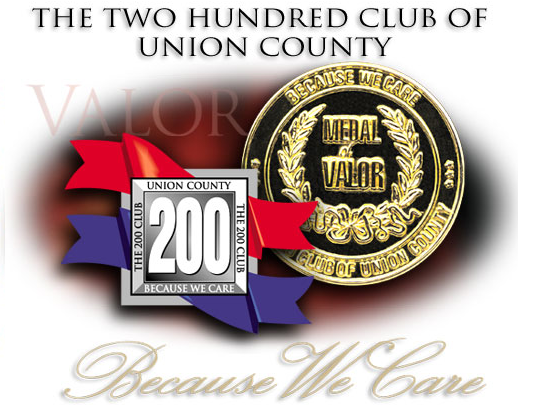 The Two Hundred Club of Union County receives its income from the dues and continuing annual support of its members. The Two Hundred Club of Union County Officers and Board of Trustees meet on the Third Tuesday of every month except July and August. How It Began ... In 1968, a group of concerned citizens joined together to form The Two Hundred Club of Union County to “recognize” the valiant efforts of police, firefighters and New Jersey State Troopers in Union County. The organization was founded to ensure that our uniformed protectors and their families are never ignored or forgotten, and to encourage them to do their best. Over the past 50 years, The Two Hundred Club of Union County has grown to become one of the strongest organizations of its type in New Jersey with more than 393 members. The Two Hundred Club provides financial assistance to families of Police and Firefighters who have given their lives in the line of duty. We also recognize the heroic achievements of these men and women each year at our Annual Valor Awards Luncheon held each Spring.